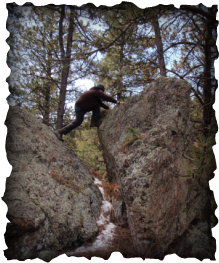 Circle Rock Retreat is located near Bellvue, Co. We are 7 miles from the Poudre River within sight of Horse Tooth Rock. It is tricky to find us without good directions, but the trip is worth it! We are just a short drive from Masonville/Loveland, Laporte/Fort Collins. Contact us by email and we will help you arrange a visit or consult.